The roots of neuromarketing stretch down to the end of 19th century. But its modern history began at the dawn of the 1990s. At that time such big companies as Coca-Cola and Ford started to heavily invest in neuroscientific research. It was their conscious step towards getting inside their customers' decision-making process and better understand their intentions and desires. Salesbrain, established in 2002, was the first company to specialize particularly in providing services in the neuromarketing domain. Since then the neuromarketing industry has evolved greatly. Let’s see how. When neuromarketing first appeared in the commercial sector, everyone was puzzled and did not know how to utilize it. Furthermore, neuromarketing research was expensive and access to neuromarketing tools, such as EEGs for example, was limited, but when pioneers of the industry figured out how to use it, marketing changed forever. Companies changed their sales focus in a way that hadn’t happened since the 1920s. Even shaving gel evolved from a “thing which helps you shave your beard” to an element of man’s style, something which defines man’s personality! Currently, the speed of change in marketing approaches is very intense because consumers adjust very quickly to new ways of presenting products and become less perceptive to «messages» which worked perfectly a couple of months ago. Neuromarketing allowed companies to get a better idea of why customers behave in this or that way and understand how to better meet their demands. The research of customers’ behavior allowed for formulating the most sacred marketing commandment: «In order to sell a product you need to understand how a client makes a purchase decision». There are as many different ways of making a purchase decision as a customer. You cannot create a unique marketing campaign which will 100% meet every customer’s expectations. Nevertheless, neuromarketing will help you define those common features which attract customers’ attention, engage or disengage them with your product, provoke negative or positive emotions, etc. You will never get such data just by using common tools, such as surveys for example. When it comes to traditional surveys, people lie, they don’t want to appear stupid or old-fashioned, and that’s why they will provide answers which you expect them to provide or say what you don’t want to hear just because they had a rough day at work or didn’t manage to buy a ticket for the concert of their favorite music band. In truth, the customer purchase decision is based on unconscious factors a lot more than you might think. Even if the customer will mull over buying a car for a month, considering all pros and cons of the purchase he/she will be aware of just a fraction of factors which really influenced his/her purchase decision. Besides the type of engine, color, price and other «obvious» factors, his/her brain will also take into account what ads say about this car, which kind of people drive such types of vehicles, how it will impact his/her image, etc. So when the decision is made it will be very much influenced by the unconscious part of our mind, while our consciousness will make a customer think that he/she took a decision based only on «objective» and «rational» factors. That’s why it’s crucial to understand how this psychological decision-making chain works and know how to appeal to that «unconscious» part of customer’s mind. If marketers succeed to «impress» the unconscious part of the brain, they will sell this car even to a guy who can barely afford it. It’s crucial to understand, or at least to have a general impression, of how our brain works in order to sell your product. When neuromarketing was still in its infancy, it provoked a lot of interest among potential users but small and medium-scale companies could not afford to use it, as it was prohibitively expensive. 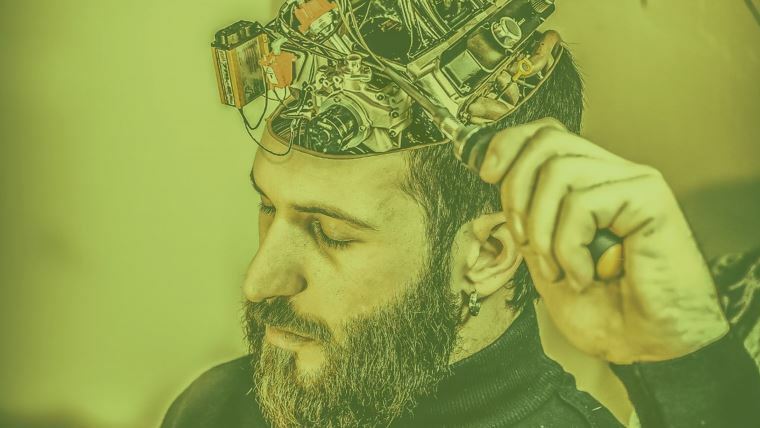 Though, as happens with all technology, within some time neuromarketing evolved and became cheaper, more understandable and as a consequence – more widespread. As a rule, modern companies use available neuromarketing tools separately. The most widespread one is eye tracking, which is widely used by a lot of companies such as TechWise, Moz.com, cxpartners and others, which put a lot of effort into getting an inside-out understanding of customers’ behavior. Many companies also like emotion measurement tools, which give them useful and insightful data about the emotions which customers feel while interacting with their products and marketing materials. Nevertheless, in 2017, in times of big data and smartphones 10 times powerful than 10-year old computers, neuromarketing can offer way more. The current level of the industry development contributed to the emergence of the concept of a personal neurolaboratory - NeuroLab. It basically means that with proper software and hardware you can create your own laboratory for human behavior studies and maybe even make a groundbreaking neuroscientific discovery at the cost of a new laptop. 2 years ago, NeuroLab by CoolTool appeared. It is an elegant cloud-based solution for neuromarketing research. The main advantage of Neurolab is that fact that it is the only automated solution for neuromarketing. Unlike earlier expensive neuromarketing tools, this solution is affordable even for small-scale companies. It encompasses 4 neuromarketing tools - Eye Tracking, EEG (for measurement of the brain’s activity), Emotion Measurement and Mouse Tracking. They can be used separately or, which preferably – together, in order to increase the quality of neuromarketing research. Using NeuroLab you can test videos and commercials, website UI\UX, printed, outdoor and online advertisement layouts, product design and packaging, and even product shelf placement. NeuroLab is created so that not only corporations can gain advantages from neuromarketing, but also any researcher could reinforce research, extend service portfolio and increase the efficiency of research projects right away. Just choose ready-to-use methodology, upload materials to test, collect responses via the application and enjoy reports created automatically. 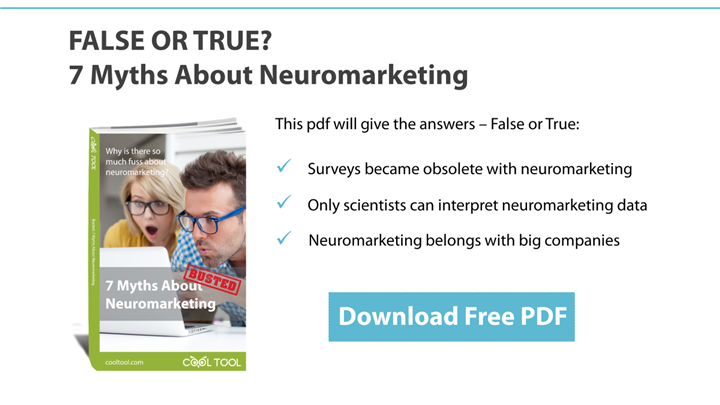 It is the most affordable and quick entrance to neuromarketing for research agencies, usability labs, academics, and marketers. Neuromarketing has come a long way, changing from bulky and expensive tools into elegant and fast solutions. If you study human behavior it is high time you took advantage of neuro-solutions. If groundbreaking neuromarketing is available now, at the cost of a new laptop, can your company really afford not to invest? If you need more information on how CoolTool NeuroLab works feel free to Request Demo and we’ll be glad to show you how to use it as effectively as possible.